Event Are you enthusiastic to learn new technology and work in a team to handle a project and implement your innovative ideas? Then grab this opportunity and sharpen your skills by working on live projects. 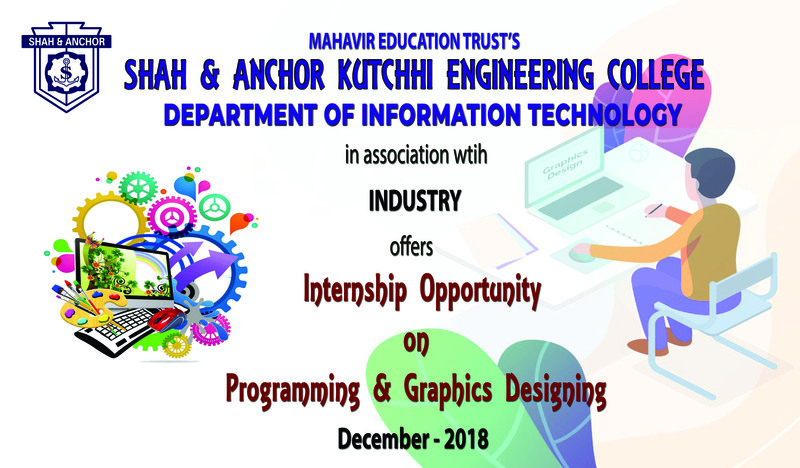 Department of IT in collaboration with Industry offering an Internship program on “Programming & Graphics Designing” to its students. Basic Knowledge of programming languages, graphics designing and video editing tools. Development of tools and applications.